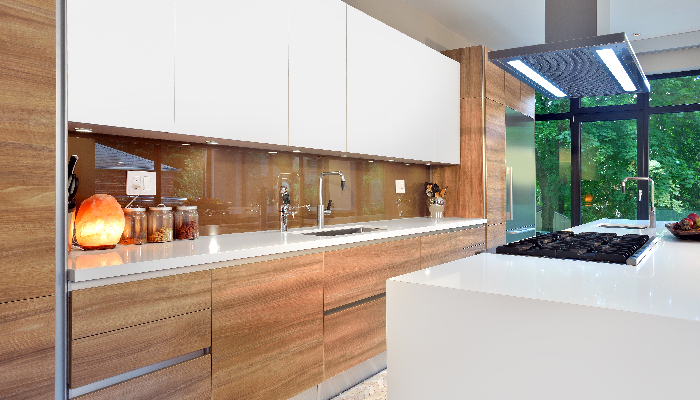 The custom Scavolini kitchen serves as a focal point of the house - the stunning exterior views, contemporary design and the natural woods strike the perfect balance of modern and warmth. This East York gem, an Upside-built home, has been the residence for Murdoch Mystery's Yannick Bisson and his family since 2012. 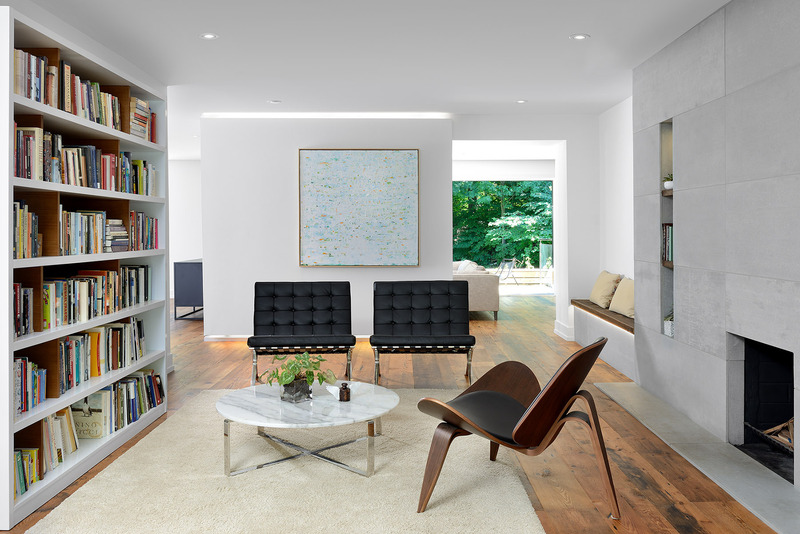 As one of the first contemporary rebuilds in the up-and-coming Woodbine neighbourhood, the contemporary style and modern-ranch aesthetic of the home was a groundbreaking addition to the area. Previously featured in Toronto Storeys, The Toronto Star, House & Home and CBC, Upside Development worked with the Bissons, Gordon Ridgely and interior designer Eric McClelland to create an open, spacious home with meticulous attention to detail, reflecting the personality, tastes and needs of the family. The family had begun the design journey with Ridgely and McClelland. Upside later joined the team with significant design contributions and insights as the building partner. 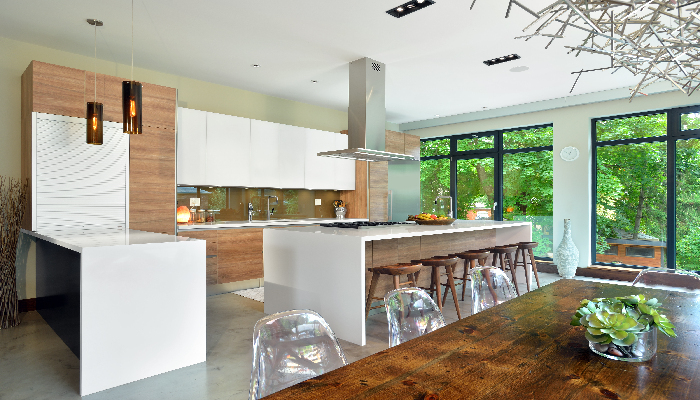 The Scavolini custom kitchen features walnut stools at the island (left). 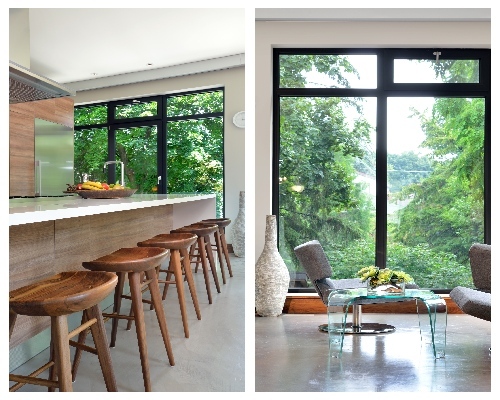 Floor to ceiling windows allow natural light to pour into the living room, making the seating area a cozy and inviting place to take in the view (right). Upside's Principal Rambod Nasrin brought a unique and fresh perspective to the plans, with contributions including creating a new third level to house the master bedroom and allowing for an open concept ground floor layout, facilitating the beautiful Taylor Creek Ravine views to be seen throughout the house, bringing the outdoors in. A few of Upside's favourite features in the home include the striking custom metal staircase, the elaborate walnut cabinetry throughout the home, and the Italian-made Scavolini kitchen. As a prior carpenter himself, Yannick Bisson built the wraparound wooden bench surrounding the fireplace as a personal touch and contribution to the home. The wraparound wooden bench surrounding the fireplace was handmade by the homeowner, a former carpenter himself (left). 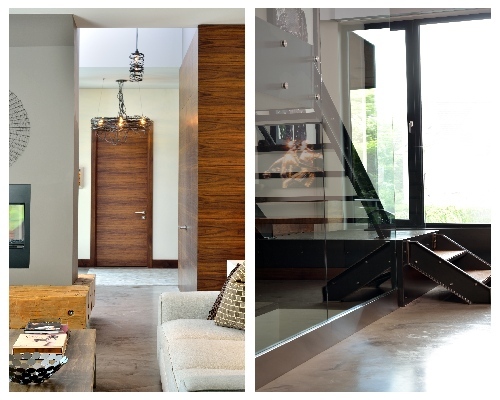 The striking custom metal staircase connecting the main and third floor (right). 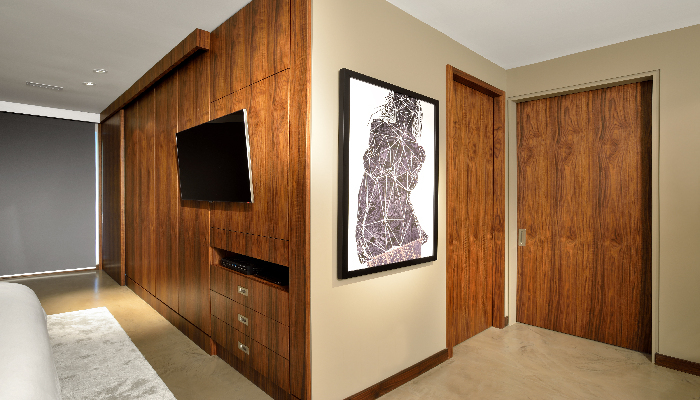 The bedroom's elaborate walnut cabinetry also features storage (top). The contemporary custom Scavolini kitchen allows plenty of natural light (bottom). “There is nothing like this out there. They went above and beyond. I was expecting this to be one of those cold, minimalist modern homes. But it is the exact opposite...It’s very zen in this house; it has a great mix of modern and warmth."